Is This Why Meghan Markle’s Dad Has Been Keeping Mum in the Press? It’s no secret to literally anyone at this point that some of Meghan, Duchess of Sussex’s family members love to court controversy — but in recent months, there seems to be a lull in headline-making interviews, which is particularly noticeable with loose-lipped dad. So, what gives? Why has Thomas Markle seemingly stopped talking to the press? 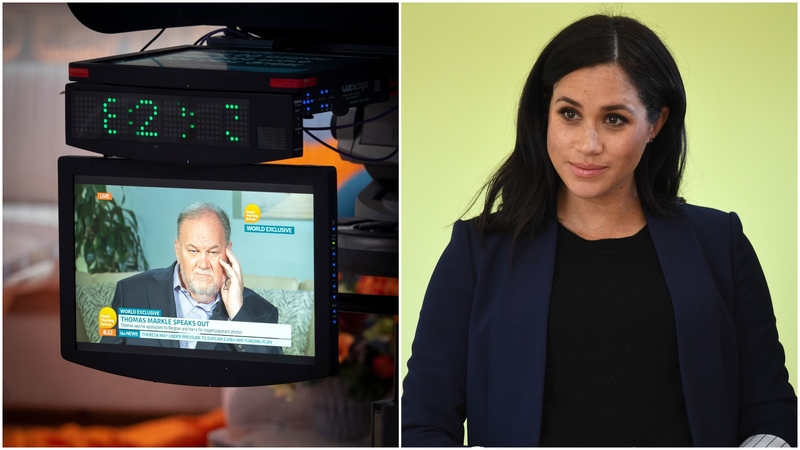 The silence has led to speculation Markle is trying to win back his daughter’s trust, and a royal expert is weighing in on whether that’s even possible. Does that mean Markle is sincere in his new commitment to staying out of the press? Maybe. “So, yes one wonders if perhaps he has learned the error of his ways and realized that if he wants any relationship with his daughter and his grandchild he’s going to have to prove that he can keep his mouth shut,” Nicholl said. There’s no denying Markle has an excellent incentive to be on his best behavior. Then again, one could argue that a royal grandbaby isn’t the only incentive he’s had, leading some royal experts to think Markle’s silence is too little, too late. In a clip of the upcoming documentary Meghan & Harry: A Royal Baby Story sent to Fox News, royal biographer Duncan Larcombe said he simply doesn’t see Markle in the royal baby’s life. “I can’t think for a moment that Thomas Markle will ever be able to meet his grandson or granddaughter,” insisted Larcombe.